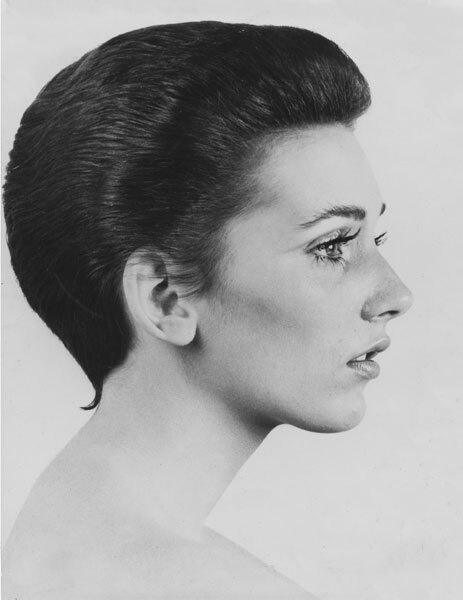 Home » Posts Tagged "60s hair"
Do you know your hair history? In the late ’60s, this look was very popular, similar done by many. There is a version or two making a comeback in 2015, so time to have another look at this 1969 version by Charles Booth, La Coupe Montreal.. It was called The Orbit and it was launched to celebrate the 1969 US landing on the moon. Face on, it was just a cap of hair, with a heavy round smooth fringe rising up to a soft point in the middle of the forehead. It was cut right from the crown and the hair orbited all around. The back was short and the cap graduated to “V” on both sides. 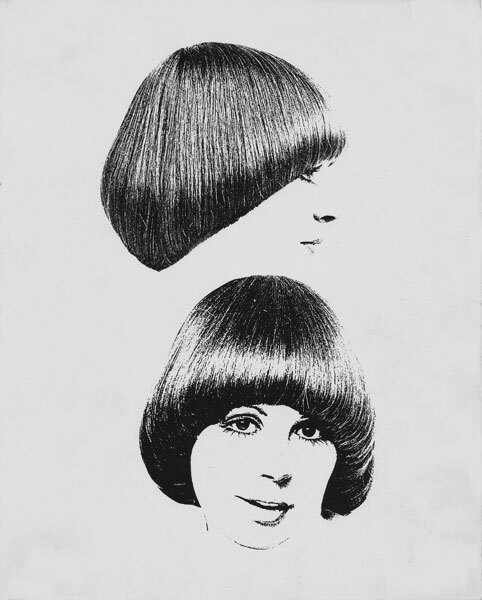 This is the Mary Johnston Cut by Charles Booth, owner of La Coupe (then known as Le Cartier.) The great summer style was a big sensation and considered very daring then, around 1969. The supershort soft brush cut rippled up and back, ending in a delicious tiny tail curving at the neck. It was ideal for those with coarse or slightly curly hair and a great summer style still. This story – and photo – was given a full page in the Montreal Star, big daily newspaper at the time. 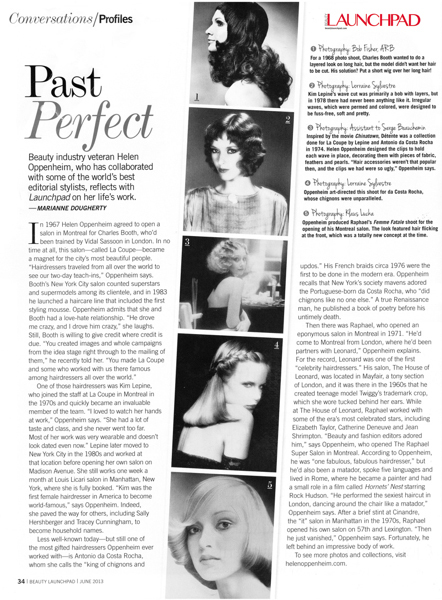 Launchpad Conversations Profile on Helen Oppenheim, title Past Perfect. Some of the firsts. Full page, 5 photos (4 La Coupe, 1 Raphael) on website. And top photo on Index page. Thank you Marianne Dougherty and Launchpad. 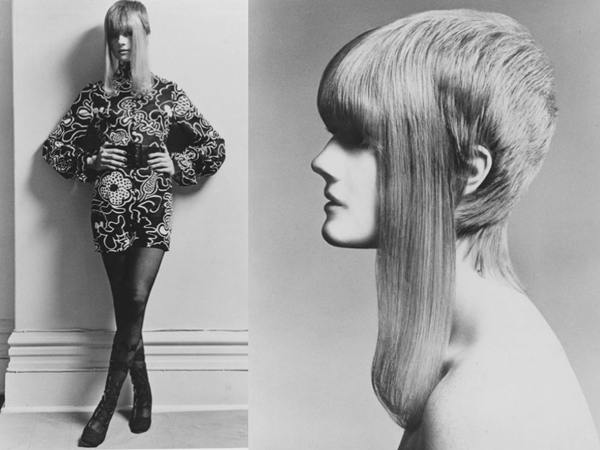 Top photo, 60s hair, first layered look, by Charles Booth, La Coupe …2nd photo: 70s hair, first waved bob by Kim Lepine … 3rd photo: 70s hair, Détente with first decorated wave clips, by Kim Lepine … 4th photo: 70s hair, first French braiding by Antonio da Costa Rocha … bottom photo: 70s hair, Femme Fatale, first flips at front by Raphael – go to HairThen on helenoppenheim.com for more on the hair and see Launchpad to read more on me!